My wife will be needing a car for her new job where she will be providing healthcare to patients at their home. The car we're keeping is our 2013 Toyota Land cruiser to be used as our primary family hauler, grocery getter, and offroad adventure wagon. A goal of ours would be for our second car to complement our LC and fill in some gaps. 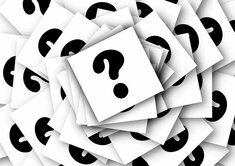 Some of these gaps we briefly discussed are: fuel efficiency (gas in California is insane), perhaps a pickup bed, diesel, sports car (midlife crisis! ), luxury car. Must have features are safety, must fit 2 child seats, great visibility, good headlights, and preferably AWD. I know there isnt a single vehicle that can perfectly complement the land cruiser, but what would check off the most boxes? 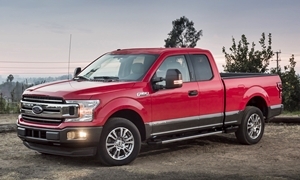 diesel pickup truck that handles like a corvette and is somewhat inexpensive... Have you ever heard of the iron triangle in project managementIron Triangle. The idea is that you have 3 constraints to any project; price, time, quality and you can pick 2. If you want good work done quickly it's going to be expensive; if you want quality work done cheaply its going to take a long time, etc. If you can find one, I believe the VW diesels are cleared for resale after being fixed for the emissions cheating issue. It won't check off the cargo bed option, but you could remedy that with a small utility trailer for either vehicle (if you have room to store it). 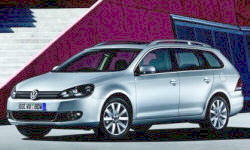 With that, I'd second the VW Sportwagen recommendation (admittedly I have a wagon bias), diesel or regular gas. You can get AWD (no deisel) on either the regular or new Alltrack variants. 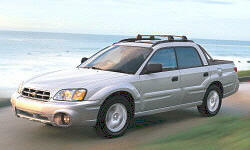 The other option (well outside your age criteria) that is an odd mix of car with a truck bed, would be the Subaru Baja. I think the last year they were made was 2005 or 2006 but it would hit a decent mix of room for 2 car seats, AWD, MPG, and a cargo bed. I'd skip the MDX for any trial driving as SH-AWD only sends 70% of the power to the front wheels. Not sure about the QX60 but it is older, front wheel drive based and won't send much power to the rear wheels. You can get a used/CPO Buick Envision for under $35,000 with Driver Confidence Package which included adaptive cruise, front and rear emergency braking and lane keep assist which drives you from leaving your lane. The Buick has a 4 year, 50,000 mile basic wareanty. Or get it certified pre-owned for even longer warranty. It'll have one of the quick steering for fast lane changes than all of those listed above. NormT; the buick is anything but sporty. Car and Driver liked it just fine but one of the cons was that it lacked all sporting character. "Lethargic base engine, not a whiff of sportiness, general anonymity." "...Out on some twisty roads in the foothills of the Catskill Mountains, however, the Envision clearly didn't want to be hurried, and the low-effort steering is rather lifeless." 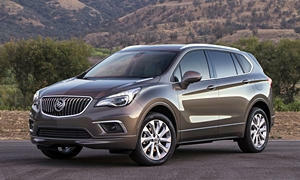 The Buick might be a great SUV, but in the world of sporty SUVs, there are much better options. I own one so I have some first hand insight. My 2 cents worth is that with the LC you already have plenty of hauling capacity when needed. So that leaves you with wants of sporty, economical, safe, room for child seats, good headlights, good visabilty, lots of safety features, reliablity... If the Missus doesn't mind a relatively small car (especially when compared to your LC), I'd add my vote for some version of VW Golf. 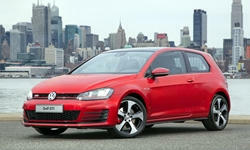 As two others already suggested, the VW Golf ticks all your boxes with the possible exception of reliablity. On line owner's report that some Golfs are apparently quite trouble free while others are rather troublesome - go figure! That said, I recommend a new Golf to get the 5 year warranty to reduce reliablity concerns. A top of the line GTI would would max the sporty aspect and meet all the other criteria but will put you pretty close to your max price. On the other hand, the Wolfsberg model (at least for 2017) comes with all the above but not quite as sporty as the GTI - but it's no slouch and is the Golf sweet spot for price and features content. While carting around two kiddos, the hatch space on the 4 door might be a little tight for all the associated kid paraphenalia. 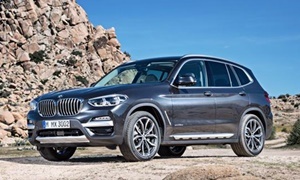 If that is a concern for you, the wagon version is very nice and you'd sacrifice very little in terms of handling and fuel economy while getting more gear space. Personally, I thought the Wolfie was such a great buy that I bought one for myself!After a year and 7,000 miles Ive found it to be comfortable, sporty, frugal on fuel, and I can stuff a lot of stuff in it! I concede that basic headlights on the Wolfie left a little to be desired so I upgraded them. The only reliability issue so far was an odd, sticky fuel door which was resolved under warranty. I don't think the 2018s are out yet, but they apparently will have LED headlights all the the base (S) model. Happy car hunting, would love the hear what you settle on. Yay, we have new members! 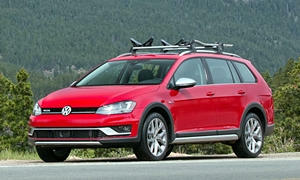 I would second the Golf/GTI or Golf Sportwagen/Alltrack only if it was reliable and had cheap repair costs. If it were, I would have totally bought one (I love them), but that scared me off of VW, along with some of my family that has had some bad experiences with VW/Audi. I do think they would suit you best if you can live with the less than average reliability. The Envision is the opposite of sporty; avoidance maneuvers and braking distance don't tell us how it handles in everyday life and no one buys a car based on that data. I thought about the Subaru Baja when you said "pickup bed," but that car IIRC was not refined in any way. 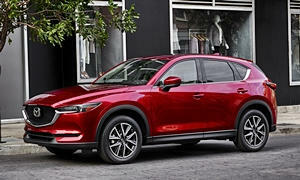 My first choice would be the Mazda CX-5 because it is sporty, you can get a fully loaded model in your price, the interior is top-notch, and it drives almost like a near-luxury CUV. You can get one with AWD. It isn't the quickest car, but it is enough power for most and it gets good MPGs. It is also very reliable. I don't suggest getting a luxury car in your budget because most of the new entry-level luxury cars in your budget are just not good. If you have to go this route, the Infiniti Q30 and Audi Q3 may be your best bets, but they are not as good as the mainstream CUVs like the Mazda CX-5 and Honda CR-V and even the Golf family. Getting a used luxury car that isn't Lexus, Acura, or sometimes Buick is a bad idea because of reliability. A Lexus IS300 AWD wouldn't be a bad choice either if you can live with a smallish back seat. Might not be good for car seats. Might be a few grand out of your budget. The Tesla Model 3 sounds perfect for you, especially with the CA incentives, but wait times are terrible right now. We want to hear what car you get! Another comment on VW/Audi reliablity. I know lots of folks have had serious problems with the brand but not us. We drove a 2002 Audi A4 1.8T for 4 years and amost 50,000 trouble free miles. The only problem I recall was a defective power window regulator. Actually Michael Karesh (the man behind True Delta) did a review comparing the M CX5 vs VW Golf that you can find on True Delta. If you are seriously considering either of these cars, his review AND the owners comments attached to the review are well worth the read. Of course, before making any final decisions, you need to drive both with an open mind and see what kind of deals are available. Michael Karesh just wrote a good review of the 2017 Mazda CX-5. He liked it, but his main complaints were that it has less interior space than pretty much every competitor and it can feel cramped. 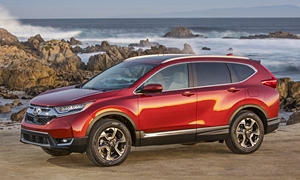 It's better for people who just want a near-entry-luxury crossover and don't have kids or need lots of space.